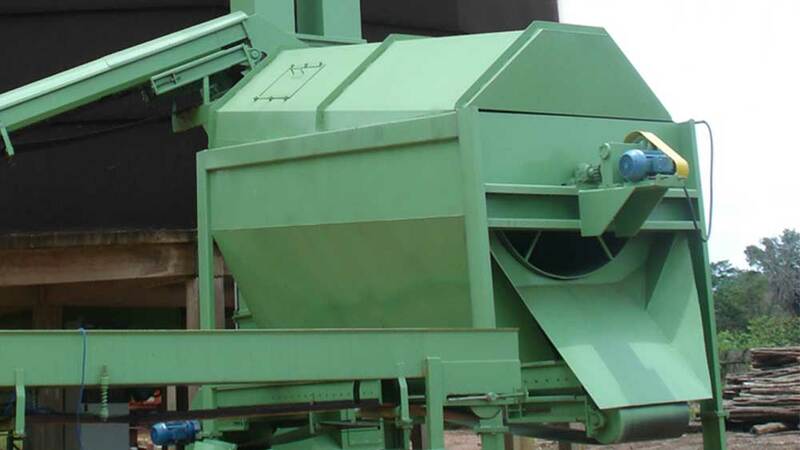 Rotary Screen to classify biomass, with the drum measuring 1200 x 3000 mm. Control and engine protection, in the central control panel. 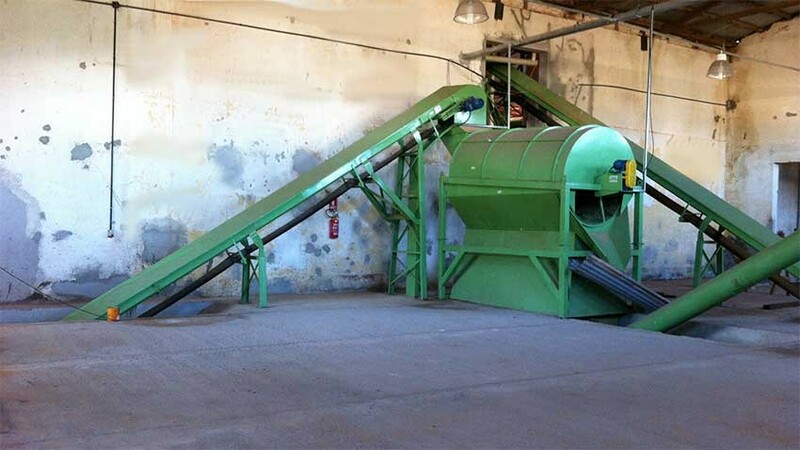 Separating equipment separates and grades materials such as sawdust, fine chips, and impurities. By default the screen has a perforated plate of size 40 x 40 mm, but this can be scaled according to the material to be sifted, depending on customer needs. 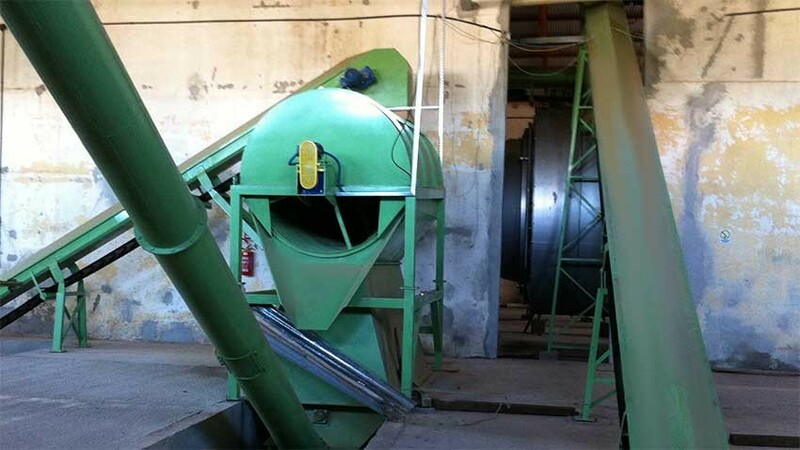 Through transporters, the materials are released into the drum, and discharged onto the screen, which separates impurities from the good material. 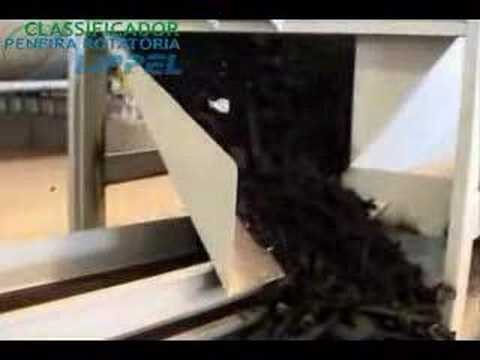 Conveyors collect the material from the other end of the screen. 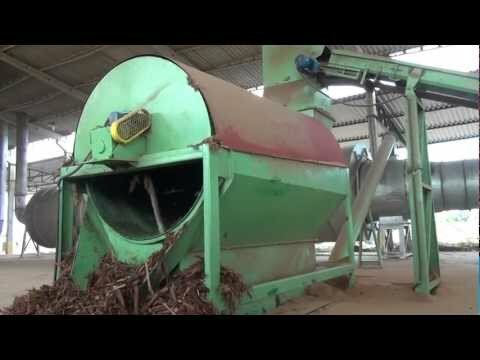 The rejected material is collected or removed by other conveyors.